This was a great event last year! 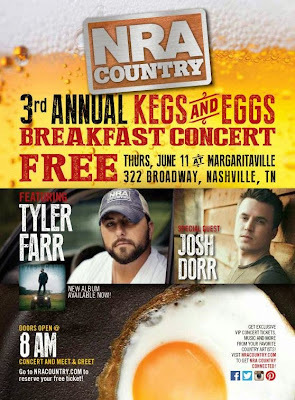 Free breakfast, beer, music, and meet and greets with great artists! Presale registrations are gone already but you can still get in if you get in line early enough the day of the event! Thursday June 11 at Margaritaville! Tyler Farr and Josh Dorr will be featured this year!